This tour is specifically designed for independent travelers, who wish to cycle less of a distance and spend relaxing lazy days along the way. 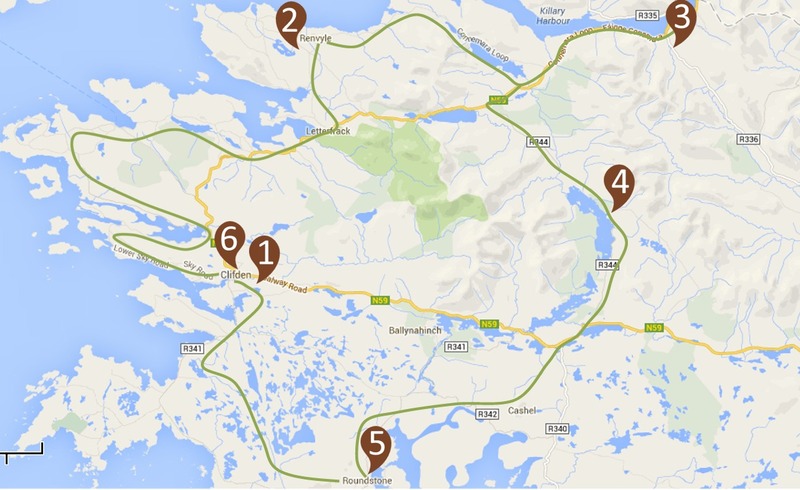 Perfect for in-depth explorations of the various cultural and natural attractions of the wonderful Connemara region. Evenings will be spent in luxurious and comfortable hotels of the area. Connemara – the western wonderland of Europe, where rugged mountains soar above wild Atlantic beaches. 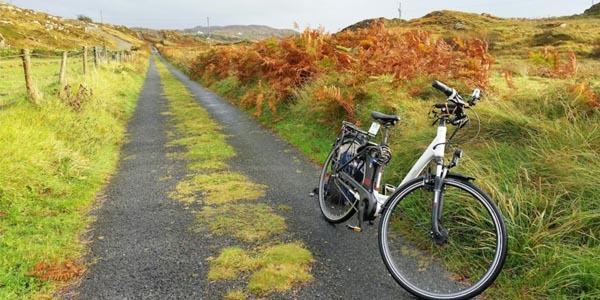 Your route will take you both inland and along the coastal region, giving a glimpse of the dramatic scenery of Connemara. Daily cycling will average of 25-35kms on low-traffic back-roads, the terrain is not flat, but neither is it hilly, rather a rolling countryside. In the evenings you enjoy wonderful luxury hotels, and manor house accommodations. Route descriptions, local information and maps are provided. Arrival in Clifden (there is a direct daily bus service from Galway to Clifden). Today we will give you a warm welcome and a chance to settle in. You will be given your route notes and general information and your bikes and equipment will be delivered to your accommodation. One of our representatives will meet you on either the afternoon of your arrival or the following morning at your first night’s accommodation to answer all your questions and go through your routes together. Clifden is a small, picturesque and colorful town, also often labelled the ‘Capital of Connemara’. So many restaurants that will offer you typical Connemara’s food and Irish music. After a jovial breakfast, you will set off along the Sky Road, if you chose for the longer option (45 kms), it offers fabulous views over the Atlantic ocean and its islands. Travelling quiet back roads, you will pass through the charming fishing village of Cleggan and on to Letterfrack, home of the Connemara National Park. Then your journey will take you to the Renvyle Peninsula which is full of history and archaeological sites and is renowned for its pristine sandy beaches and spectacular vistas of the Twelve Ben mountain range. Leave Renvyle after the breakfast. You will set off, passing through Tullycross with its many thatched cottages and meander along the coast passing perfect beaches to the small village of Leenane, situated at the head of Ireland’s only fjord. 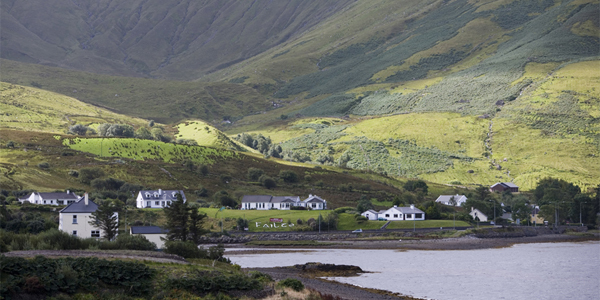 You could take the boat along Killary Fjord for a sightseeing expedition at either 10.30am, 12.30pm, 2.30pm or 4.30pm. This is a 1.5 hour boat ride on the Connemara Lady catamaran. The trip is often honoured by the company of leaping dolphins and always includes commentary on all major points of interest along the way. Tonight you will stay the night in Leenane. Today you will continue your journey today leaving Leenane. 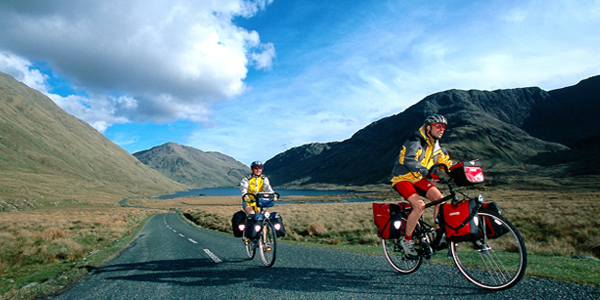 You cycle away from the coast back towards the mountains on a road through lake-strewn moorlands to the stunning Inagh Valley. 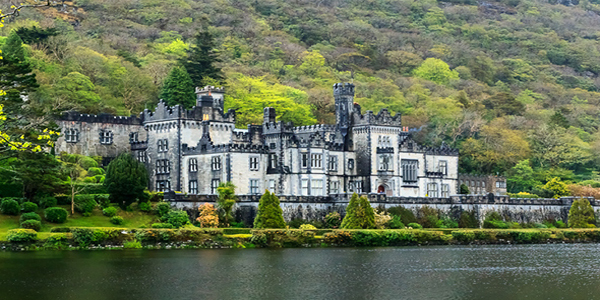 You will have the option to visit one of Ireland’s top visitor attractions, Kylemore Abbey & Gardens. 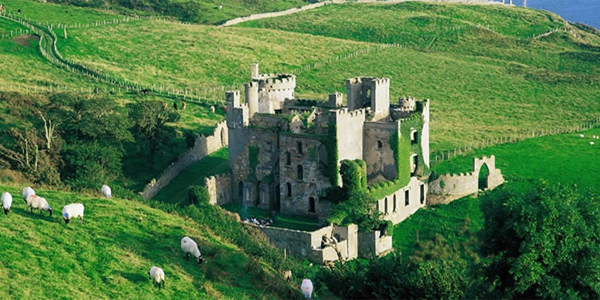 This gothic fairytale lakeside castle lodged in a wooded hillside is the site of one of Ireland’s finest gardens. The six-acre Victorian walled garden at Kylemore was created by Mitchell Henry in tandem with the building of Kylemore Castle in 1867. It has won the prestigious Europa Nostra Award for Gardens. 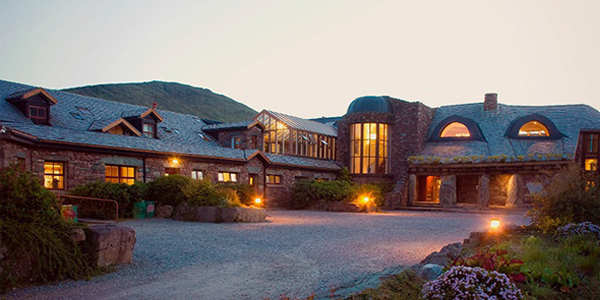 Tonight you will be staying in welcoming accommodation overlooking spectacular Lough Inagh. Today you’re route is leaving the mountains behind as you head towards Roundstone. You will be travelling along a route dotted with pretty fishing villages. You will cycle through peat bogs and lovely moorlands still divided by the Neolithic field systems. Your journey will bring you into the Gaeltacht (Gaelic speaking) region, which is considered the last bastion of Celtic Ireland. 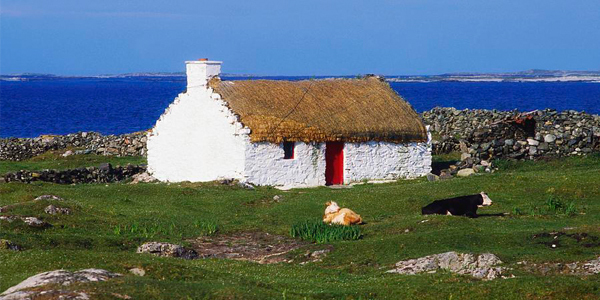 You will rest and relax tonight in the small picturesque fishing village of Roundstone. Well-fed and well-rested, you will begin your day with a gentle cycle along Mannin Bay. With its coralline beach & glorious turquoise bay it is a paradise for the beachcomber. This route brings you past Ballyconneely, or can be made shorter by taking the Bogroad. Roundstone bog is unique in that it is an unspoiled area of bogscape with rare acid-loving plants. You will arrive back at your starting destination of Clifden where you will spend your last night getting a second chance to enjoy the ‘craic’ in this vibrant town – one of the last true treasures in Western Europe. Departure point: You depart from your last night’s accommodation in Clifden. There is direct bus service daily from Clifden to Galway. 50% per person upon reservation, final payment 6 weeks before tour departure. CC payments Visa or Mastercard do have an additional increase of 2%. All reservations will have a cost of 25€ per tour.